As a young man Ricky worked on building sites as a plasterer and was a trade union activist. Then, in 1972, he was part of a group of flying pickets who travelled to Shrewsbury to give support to a workers’ dispute. Some months later, Ricky and 23 other pickets were charged with "intimidation” relating to that protest, with Ricky, and his colleague Des Warren, sent to jail for two years. In the years since, he and his fellow defendants have campaigned for the verdict to be quashed, yet, despite strong evidence of a miscarriage of justice, the case has still not been resolved. The series also means Ricky will be forever linked with the phrase ‘My Arse!’ but he doesn’t mind that in the least. “I hear it 50 times a day. Bus drivers, taxi drivers, all sorts of people shout it out when they see me and it’s great, it’s lovely,” he laughs. “It just means they’re joining in and having fun. 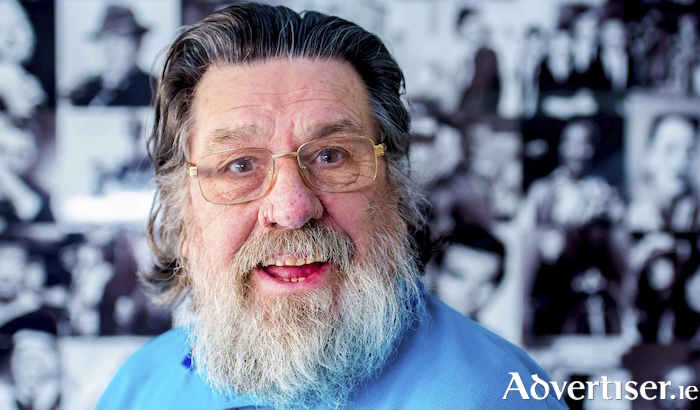 When I go onstage in Ireland I’ll come on as Jim Royle then tell a few stories about him and who I’ve met, the good guys and the bad guys; people like Norman Wisdom, Samuel L Jackson, Lauren Bacall, and they are all true stories. "So I tell a few stories and jokes. We have a couple of other people on the bill; there is Irish singer Lee Roy James; Tony Barton, who used to be Tommy Cooper’s warm up act, and Sam O’Leary who’s from Dublin but has been based in Liverpool for many years, and he wrote the anthem for Hillsborough which he sings every year at the memorial service. It’s like a nice variety show, it’s mostly Jim but some variety as well and audiences really enjoy it. I wait around afterwards and people ask for autographs and selfies, for me, that’s no problem, I’m happy to do it."